Calling all fashionistas, trendsetters and even Star Wars FANS!! This year's MALAYSIA FASHION WEEK (MYFW) 2015 will be partnering with On Demand Entertainment by Astro and Disney to bring us 'The Galaxy Runway' inspired by Star Wars for the closing gala of MYFW 2015 on November 7. Can you guess which shoe designer would be one of the many designers show casing their stellar collection? It would be non other than our nation pride, Jimmy Choo. Also guess what? 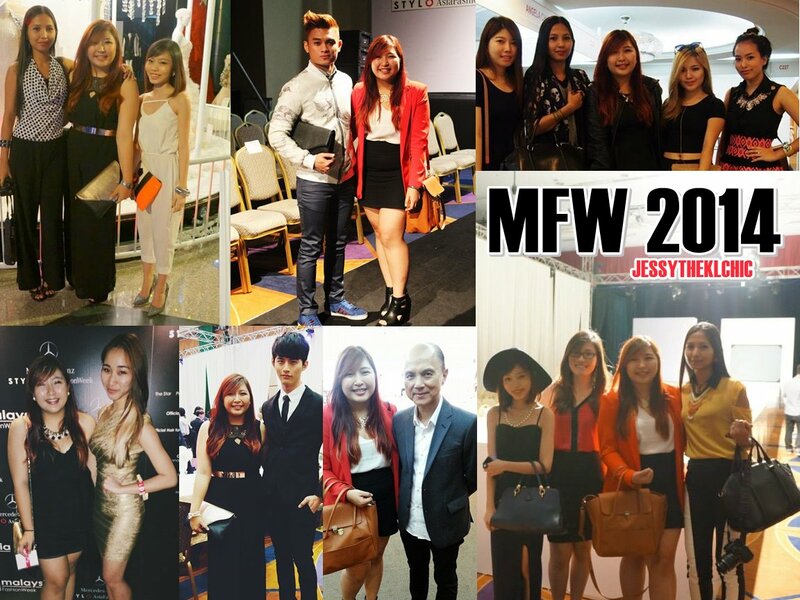 This year's MFW is open to the public, continue reading to find out how to get your Malaysia Fashion Week passes! Bet you all are dying to find out how to score tickets on the gala night, hold your horses. At the gala night, aside from anticipation of Jimmy Choo's collection, other local designers, Lynda Rahim, Bremen Wong, Azura Mazaruddin and Nawre will also showcase their own inspired collection of the galatic saga. If you are planning to attend the week long of fashions shows, you can do it too! REGISTER HERE. Here is the schedule of all of the shows at Malaysia Fashion Week 2015. Members of the public are invited to Malaysia Fashion Week 2015 on November 6 & 7, Friday and Saturday, from 10am to 6pm (free entry). Both days promise a host of fun activities, games, and fashion events. The first 200 "best dressed" attendees amongst the public will stand a chance to view the Star Was inspired creations by participating designers with exclusive invites to The Galaxy Runway inspired by Star Wars show on 7 November, Saturday at 6pm, Menara MATRADE. 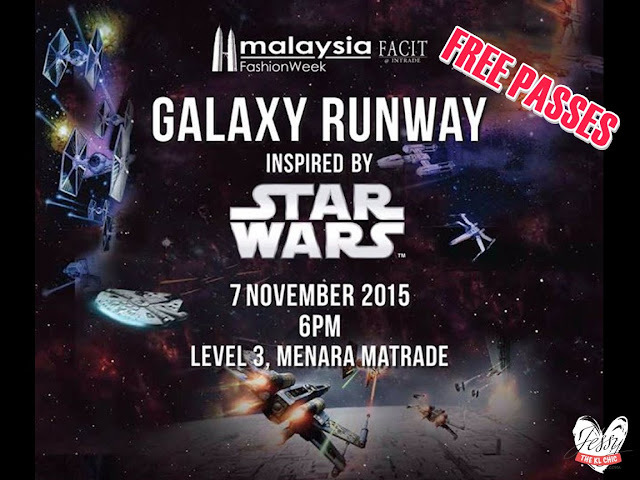 Visit www.facebook.com/malaysiafashionweek.my and Instagram @malaysiafashionweek to hashtag your videos & photos with #MYFW2015, #GalaxyRunway #StarWarsMY #darksidestyle #lightsidestyle for The Galaxy Runway inspired by Star Wars segment. Time to save dates, don't miss out on this glorious opportunity to be part of the fashion crowd in this Malaysia Fashion Week 2015.